Kofi Annan had praised Mohalla Clinics, an initiative Kejriwal, as an initiative consistent with World Health Organisation's universal health coverage goal. Aam Aadmi Party(AAP) convenor and Delhi Chief Minister Arvind Kejriwal condoled the death of former United Nations Secretary General Kofi Annan today, terming it as a "great loss" to humanity. Kejriwal in his Independence Day speech on August 15, had recalled Annan's praise for his government's initiative Mohalla Clinics, and announced that the Nobel Peace Prize laureate would visit Delhi in September, to see for himself the running of the clinics. "Heartfelt condolences to his family and admirers. 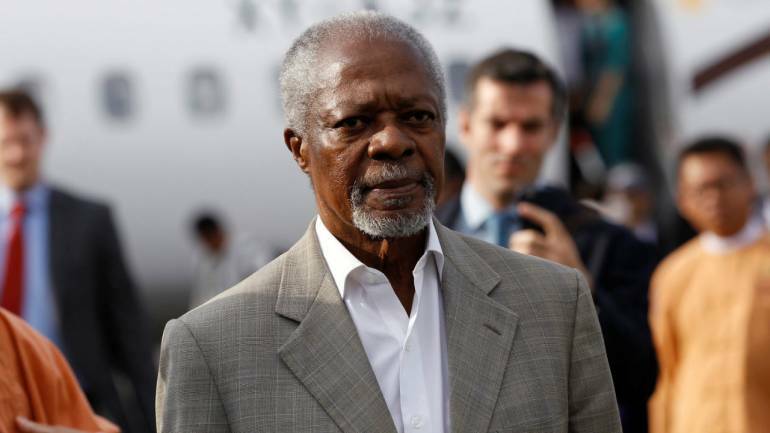 A great loss to humanity," Kejriwal tweeted on the news about Annan's death. The Kejriwal government was earlier commended by Annan for "successfully" running Mohalla Clinics to provide free primary health services to the people. In a letter to Kejriwal in January this year, Annan had praised Mohalla Clinics as an initiative consistent with World Health Organisation's universal health coverage goal. "We understand that this initiative is proving very successful and we commend you on this impressive achievement," the letter written by the former UN Secretary-General as head of "The Elders" organisation founded by Nelson Mandela, had stated. The AAP dispensation claims Mohalla Clinics as one of its biggest achievements that has "attained worldwide praise". Kerjiwal had said in his Independence Day address that in the last three years, India is being recognised by the world for "good things" like AAP government's Mohalla Clinics. He had announced that Annan would visit Delhi along with other global leaders on September 6 to see the functioning of Mohalla Clinics.